Banda Aceh The Most Popular Cities to Visit in Indonesia with ancient, tsunami track and modern attractions. Banda Aceh has fully recovered from the December 2004 tsunami boxing day which destroyed almost 60% of the city with approximately 75.000 victims. Today, Banda Aceh is the beating heart of the Provincial Goverment administration for economic, culture and tourism development. Banda Aceh, is the capital and largest city in the province of Aceh, Indonesia. It is located on the island of Sumatra. and has an elevation of 35 meters. The city covers an area of 64 square kilometres and had a population of 249 499.00 people, according to the 2014 census. Banda Aceh is located on the northwestern tip of Indonesia at the mouth of the Aceh River. Banda Aceh's capital city, Aceh province (population: 249 499.00 (2014 - census), although more than half the population is classified as urban, rural life retains a powerful influence. A strong sense of community and family ties prevail even in the busiest of metropolitan centres. The climate in Banda Aceh is typically Mediterranean with warm and dry summers. Banda Aceh is in the WIB (UTC+7) time zone. Banda Aceh was the fastest growing economy in the Aceh province, with estimated growth of around 4.5% compared with an average increase of less than 1.0%. A key factor for this growth are the Banda Aceh is the heart of the Provincial Goverment administration for economic, culture and tourism development. Investment opportunity in Banda Aceh giving excellent return on your money,So if you hope to get really rich, working for someone else will never get you there. Investment from the private sectors is open for all people in the world. Investment both local and foreign or joint venture between local and foreign or foreign and public sector is permitted. Visit the Major Investments Office for more information and we can arrange tours to business locations throughout Banda Aceh, including visits to available sites, investigations of facilities, and meetings with community leaders. symbol of religion, culture, spirit, strength, struggle and nationalism of Acehnese people. When the earthquake and tsunami (December 26, 2004), which destroyed much of Aceh, mosques survived without significant damage and many townspeople who survived here. 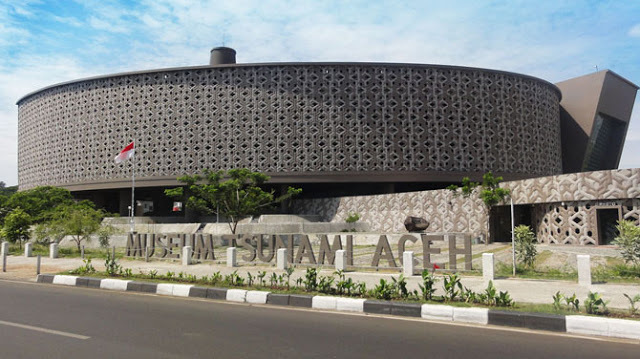 Is a museum to commemorate the tsunami that hit Aceh on 26 December 2004 which killed approximately 240.000 people. This museum was built with the concept of stilts-house as the typical of Rumoh Aceh (Acehnese traditional house) that can be used as an escape building during a flood or tsunami. Inside you can find a variety of dioramas of tsunami, some photographs about tsunami when it happened and after tsunami, earthquake simulation room, 4 dimensions audio visual equipment. All of them brought us the feeling of the real moments of earthquake. Besides that you could enjoy the cozy and pleasant place. The museum is filled with many kinds of antiques and among the exhibits is the big bell of Cakra Donya, the gift from the Chinese Emperor conveyed by admiral Cheng Ho in 1414. The bell was made of bronze with the weight of a half ton, the diameter of 0,75 centimetres and the height of 1,25 metres. On the bell can be seen a Chinese script sing Fang Niat Toeng Juut Kat Yat Tjo, which can be translated as Sultan Sing Fa, which had been completed in the 12 th month, of the 5th year. 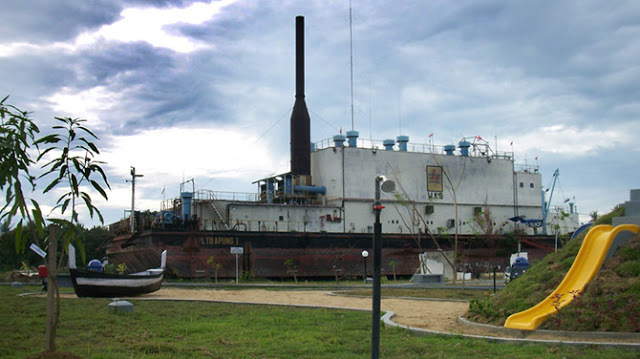 Before the PLTD Apung is situated in current position, it was moored in the port of Ulee Lheue. 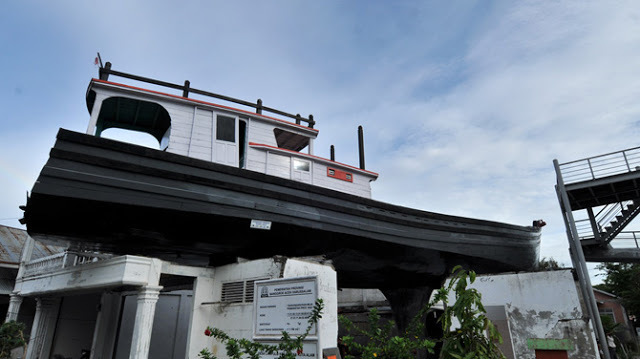 The ship was pushed on to land as far as 2,5 km from the coast of Ulee Lheue by the Tsunami and set down in the middle of Punge Blang Cut village. According to the mouth to mouth story, many people survive from the wave by riding this boat. Today this electricity diesel no longer works to supply the electrical crisis. It now turns to be a historical site of Tsunami. A fishing boat is held on an inhabitant house and managed to save 59 souls by boarding on it, when the Tsunami’s wave hit Lampulo village. Because it has historical values, now the boat is used as an important monument to commemorate the enormity of the tsunami. is a day-long consumer festival where you can sample the world's best coffees and brewing methods, attend hands-on classes and expert. Celebrating a rich cultural heritage, also highlighting some of the businesses operating by Chinese People. 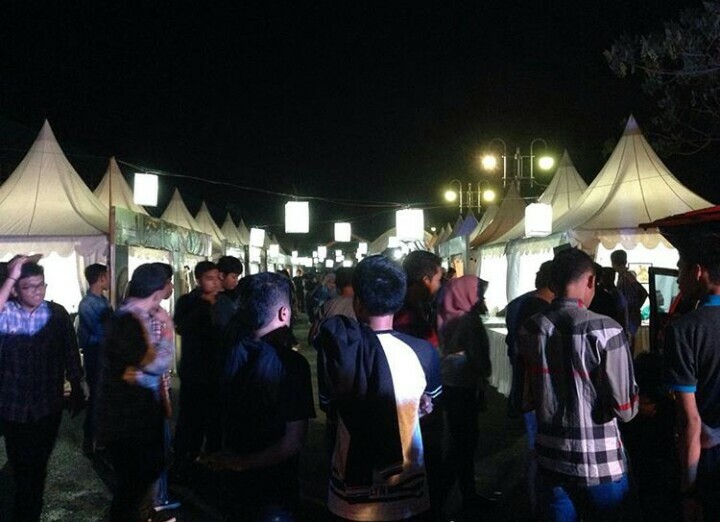 the place to express your creativity through the buying and selling of handmade and vintage goods. It is an amazing view when that many kites are in the air at once. From traditional diamond shaped kites to great fantasy characters. Many are homemade, on which hundreds of hours has been spend.